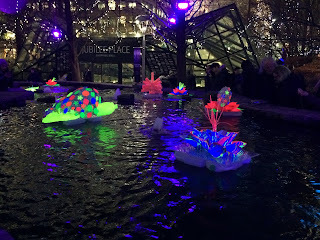 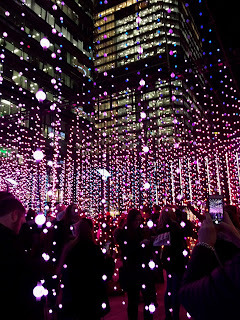 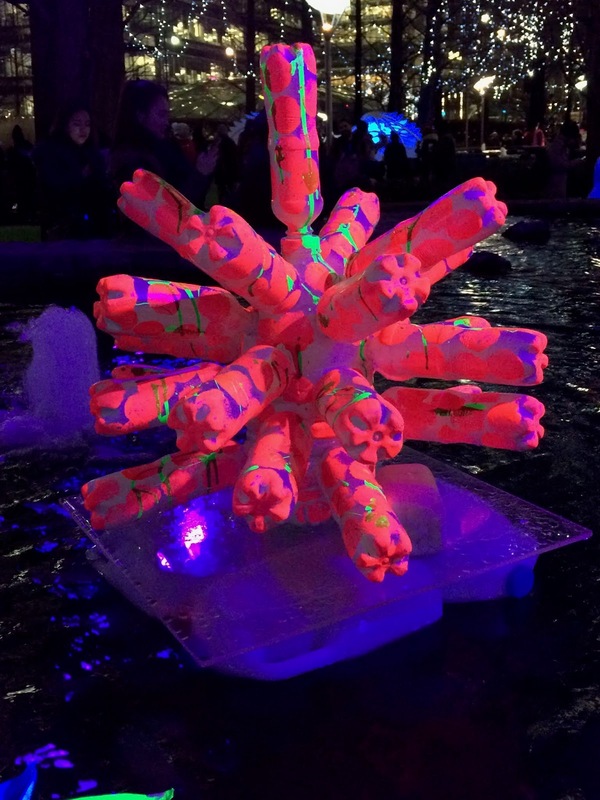 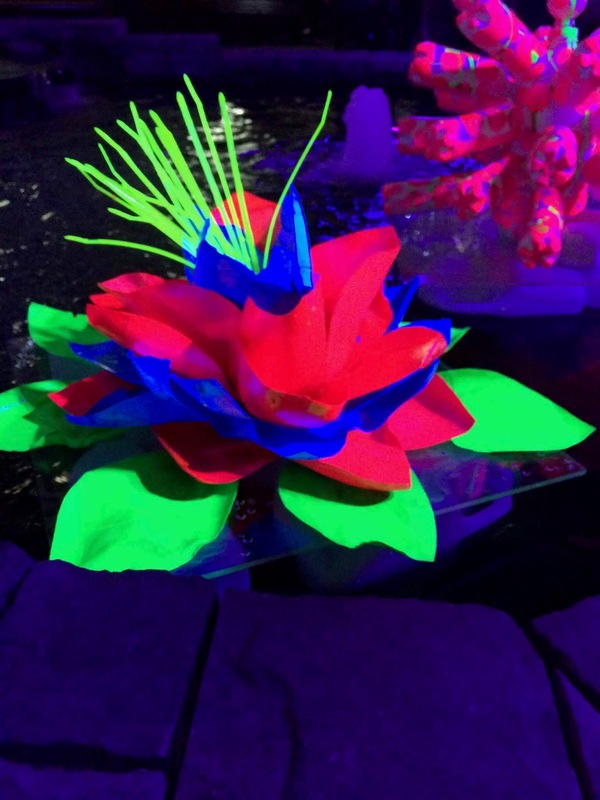 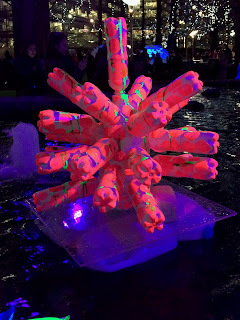 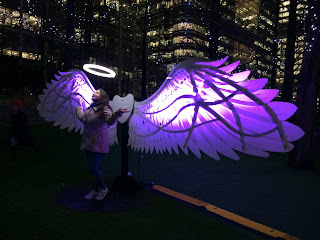 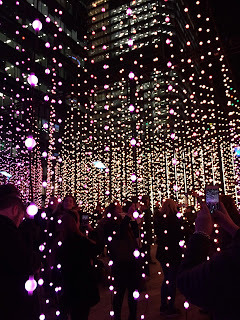 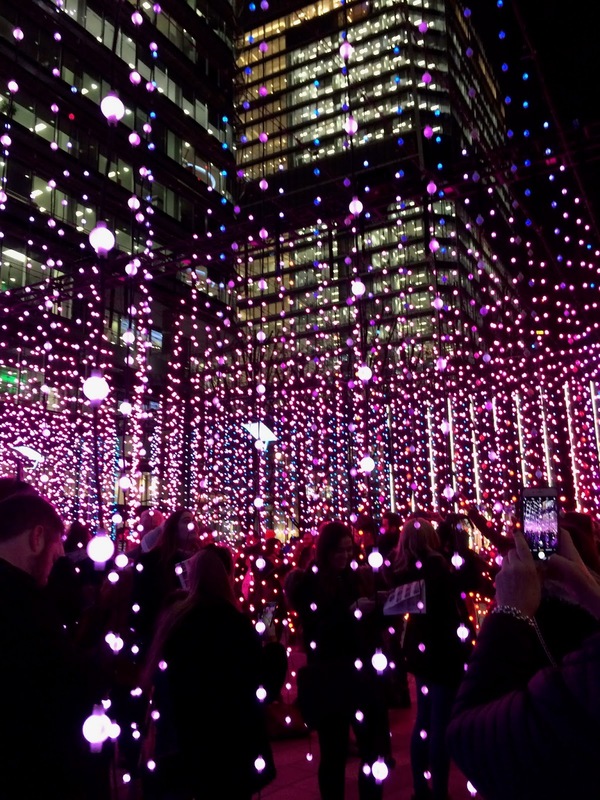 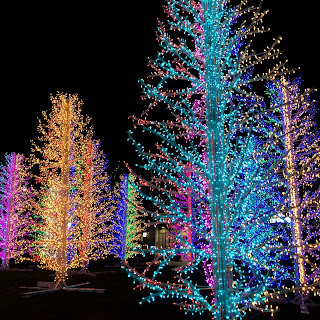 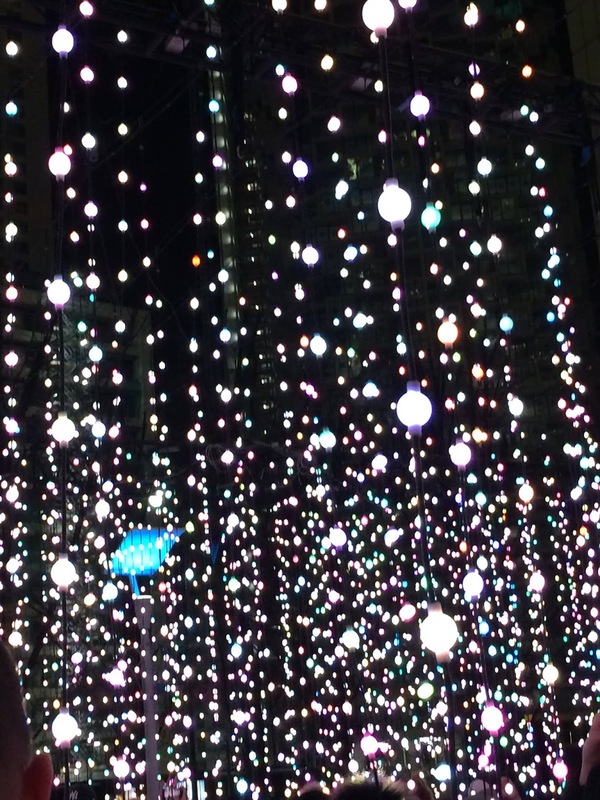 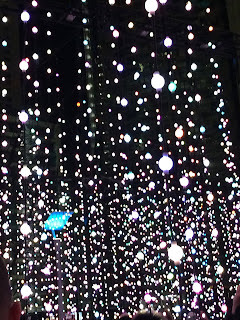 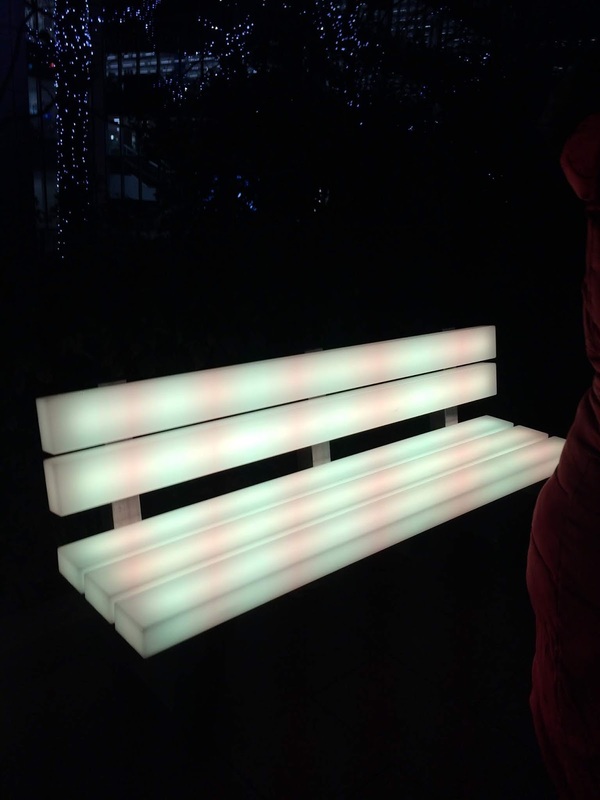 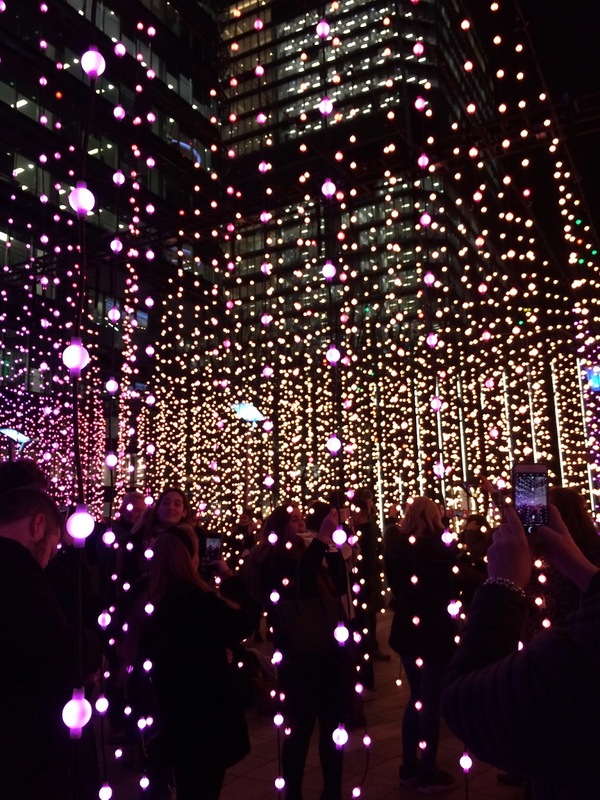 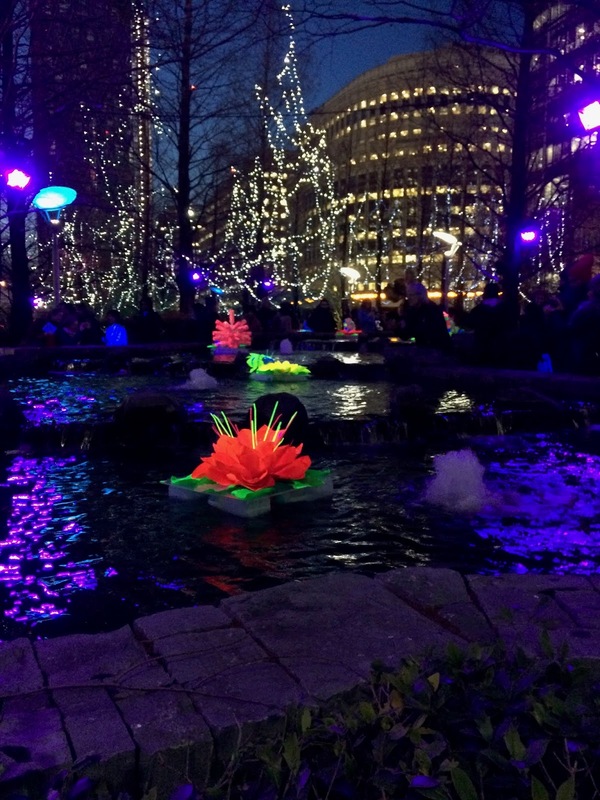 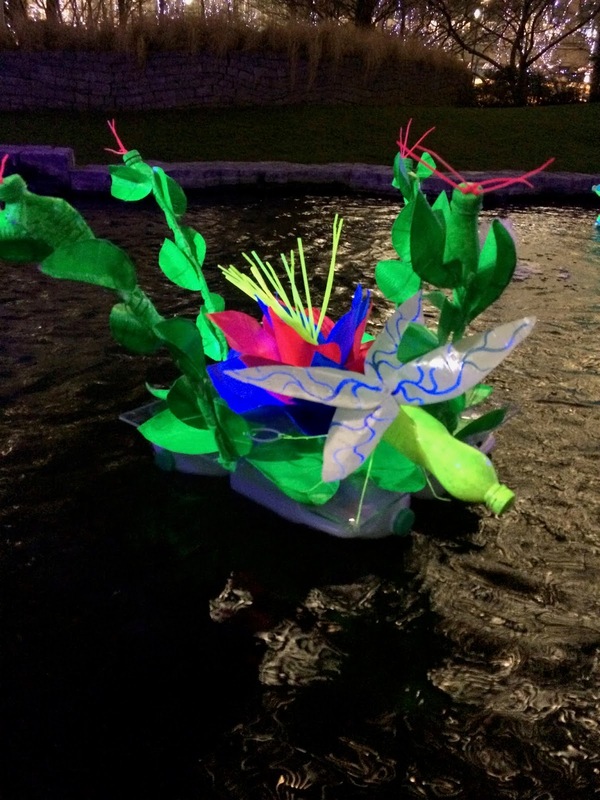 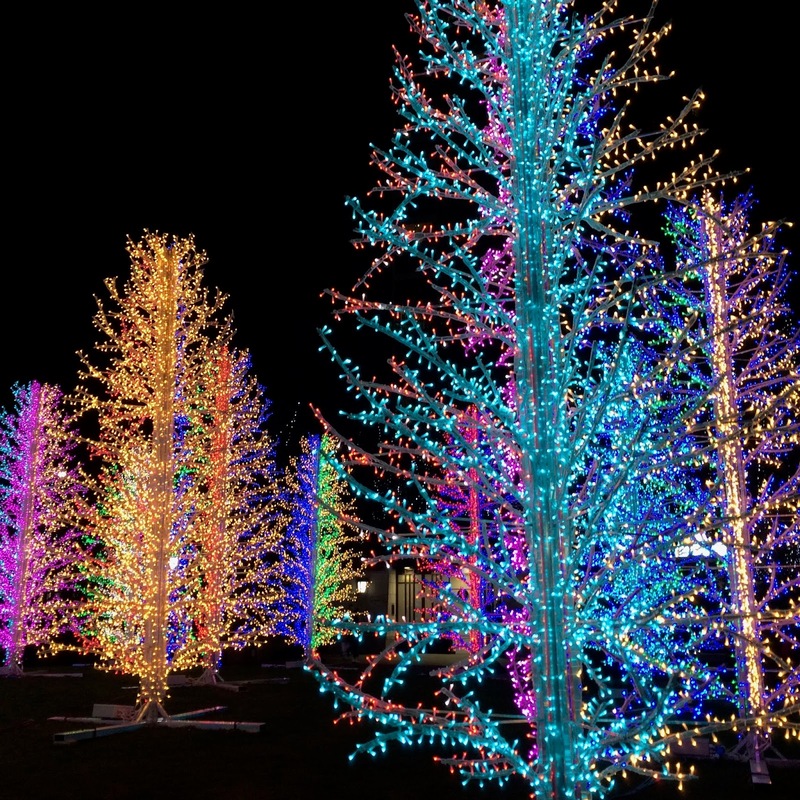 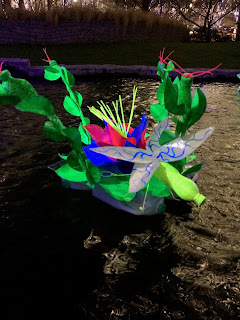 Last week I visited the Winter Lights free show at Canary Wharf with a small group of people from our 'Out and About' group. 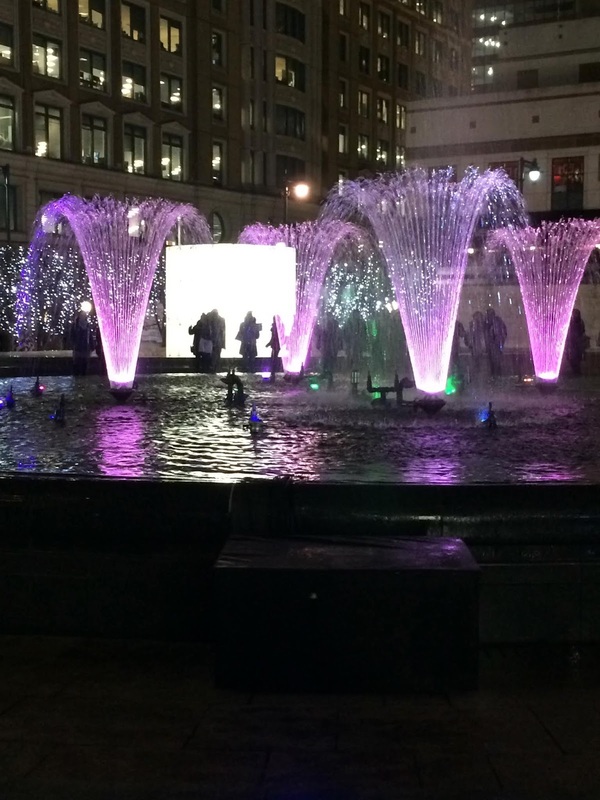 We caught the train to Waterloo then Jubilee Tube to Canary Wharf. 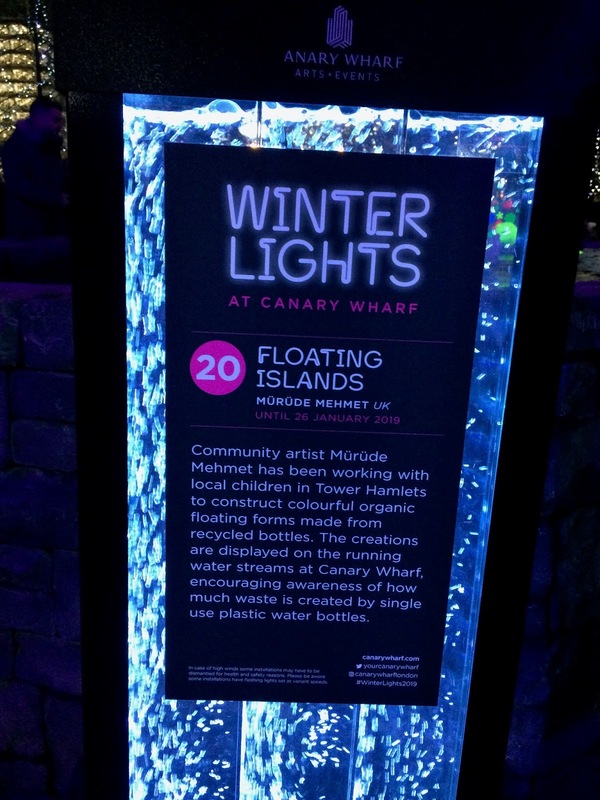 On arrival a steward gave us all a map with 21 sites showing the exhibition which was only on for two weeks. ....water fountains in various colours played in time to music, could have sat and watched this for ages but much too cold!! It was a great evening and am looking forward to my next trip out with the group.